Games: British Bulldog – Move. Run. Sports. Now pretty much everyone has played British Bulldog before, I used to play it in the street and at school. Only difference with this as a fun football game, is the introduction of footballs. 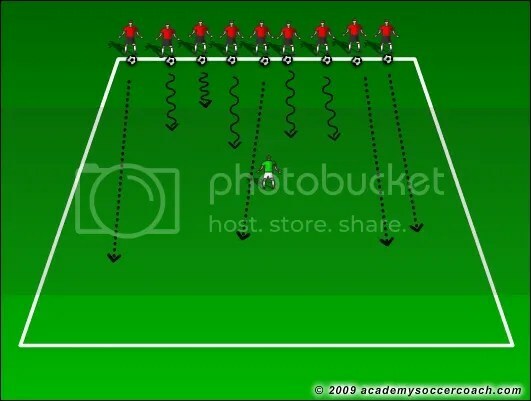 Brilliant game for camps – due to lots of touches on the ball. You can take this game in all different directions and it is suitable for all ages. You can even use tagging on the shoulder/back if the tackling is not working out very well. (Especially if you have a few different age groups together on camps).